Tour golf is an experience that brings out a competitive spirit and laser focus. Each week on the PGA and LPGA Tours, we see professional golfers push their abilities and compete among the golf elite. 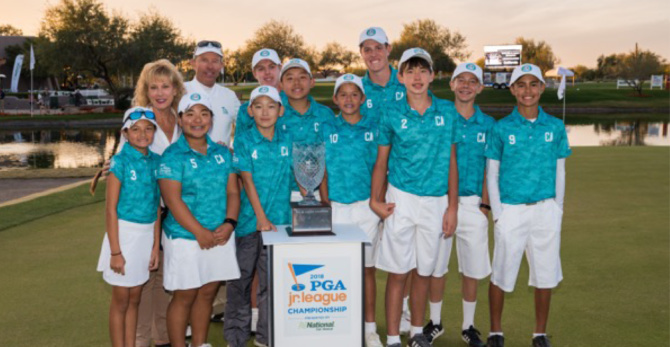 JC Golf provides junior golfers to emulate that strength and discipline with the JC Junior Tour. 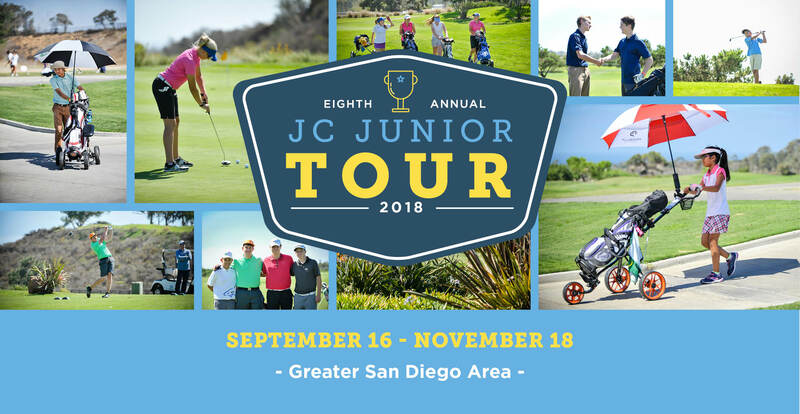 Now in its eighth year, the JC Junior Tour, is a competitive yet fun tour for kids ages 10-17 of all skill levels. The tour, gearing up for its eighth season, stages tournaments every Sunday at many of the JC Golf courses in San Diego. The 10-week tour tees off on September 16 at Welk Resorts San Diego’s Fountains Course and concludes on November 18 at Reidy Creek Golf Course in Escondido. Registration is now open. The tour, which attracted about 80 players last year, “features a points race set up like the FedEx Cup,” said Lyons. There are weekly prizes for tournament winners, including a free round at JC Golf courses throughout San Diego, and a grand prize for the season champion in each age flight. The prize is free golf for a year at JC Golf courses! Ages 10-13: $30 for 9 holes of golf (Executive length courses), $35 for 18 holes of golf (Championship length courses), plus a one-time $40 registration fee. Ages 14-17: $35 for 18 holes of golf (all courses), plus a one-time $40 registration fee. Refer a Friend: Take $15 off your registration fee if you refer a friend that has never played on the tour. QUESTIONS: contact Tour Coordinator and Head Golf Professional at Reidy Creek Golf Course, Steve Lyons at (760) 740-2450 or slyons@jcresorts.com.